Seat and back of form pressed birch plywood. Frame and armrest of solid birch. Available lacquered, stained black or honey, walnut and painted white. Also available with frame and armrest of solid oak with oak veneered birch plywood seat and back. Designed in 1946 by Ilmari Tapiovaara and crafted by Finnish brand Artek, the Domus Chair in black stained birch was originally created for the Domus Academica student housing in Helsinki. Intended to support hours of studying, the chair’s ergonomic curved seats conform to the body in a comfortable way that supports good posture. 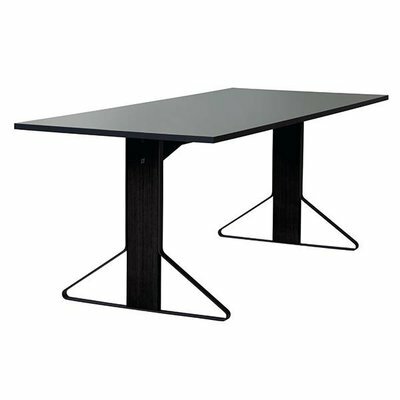 Also known as The Finn Chair, the chair’s short arms allow it to be placed close to a table making it perfect for use as a dining table or desk chair. 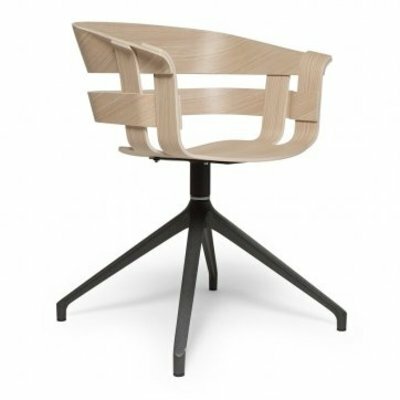 Lightweight and stackable, the Domus Chair is expertly crafted from black stained Finnish birch at Arteks factory in Finland.